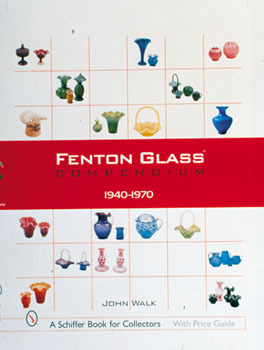 Established in 1906, the Fenton Art Glass Company of Williamstown, West Virginia, has long produced glassware that fires collectors' passions. Over 900 color photographs capture the vases, pitchers, tidbit trays, candleholders, teacups, console bowls, and more, produced from 1940 to 1970. Many of these coveted items appear in print for the first time. Five years of research went into the text, providing a comprehensive listing of the art glass produced and the decorative motifs employed. Values are included in the captions.